Happy Wednesday! 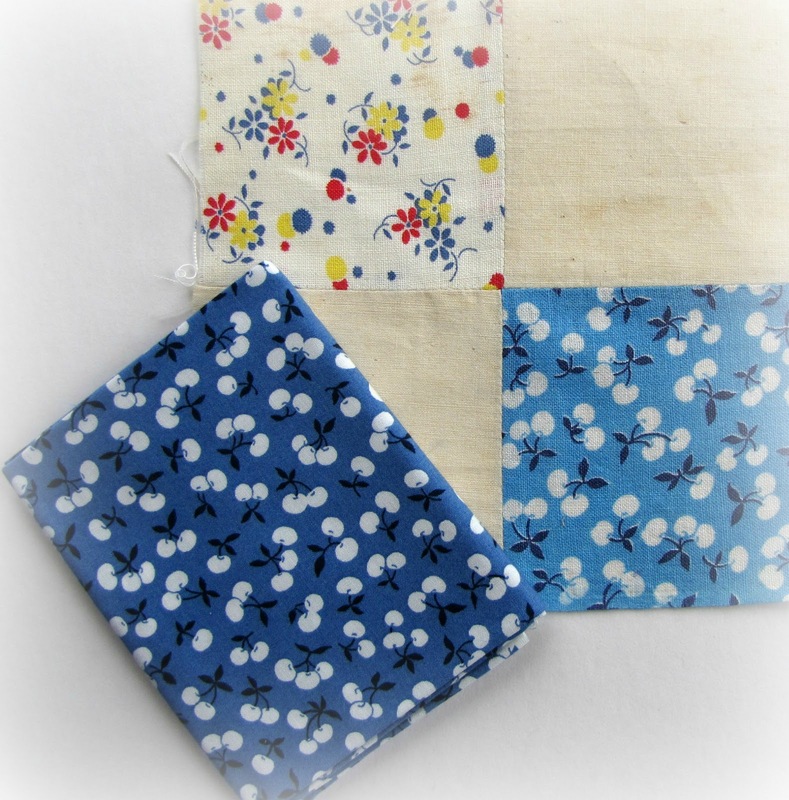 I Love to collect feedsacks and was really happy to find this little cherry print in my stash - it is the swatch on the right. It was given to me by a friend along with a bunch of wonderful feedsack blocks. The fabric on the left is a fat quarter of fabric I have in my stash - it is from Darlene Zimmerman Clothesline Club "Sweet Treats". 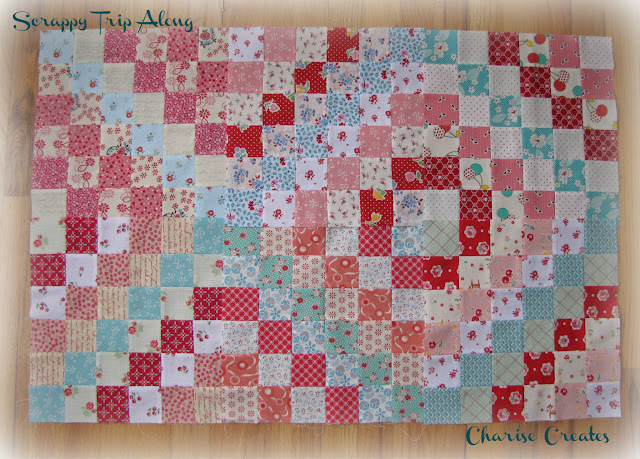 My scrappy trip around the world quilt is growing - slowly! I cut lots of strips that are ready to sew into more blocks. It is so satisfying to see the diamond patterns come to life with each additional block. I love having this project to work on for a little mindless sewing. Off now to work on a deadline and try to fit a few bee blocks that I must have done soon!! Looks so pretty - great colours all together. I love feedsack prints too! I have resisted this QAL so far but I think your blocks may have sent me over the edge, Charise! I love them!!! Well, the feedsack prints are very pretty. Since sewing this, will have to figure out where to acquire a few. Meanwhile, I have some fabrics that are just dying to be Scrappy Trips! This is so pretty, Charise. Where do you even find feed sacks? Does anyone still make them, or is do you have to hunt feed sack treasure at auctions and flea markets? Your quilt is looking great, I just finished mine. Coming along great! Love your colors. I too love feed sacks. I wish packaging were as pretty today. And of high quality too.